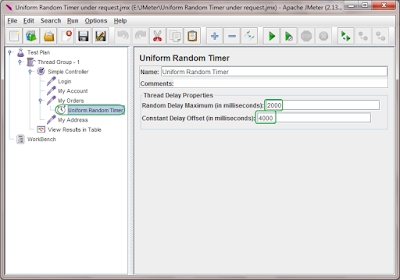 Now you already knows what is uniform random timer and how it works in software load test plan as we have already discussed all those things in previous posts. So i will not detail it more now. Let's move to practical example directly. 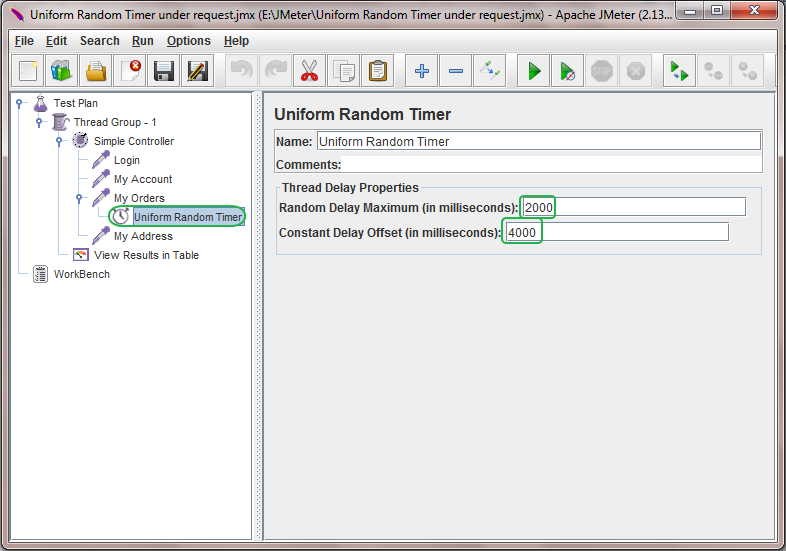 Here we wants to see how uniform random timer behaves if we put it under specific request. 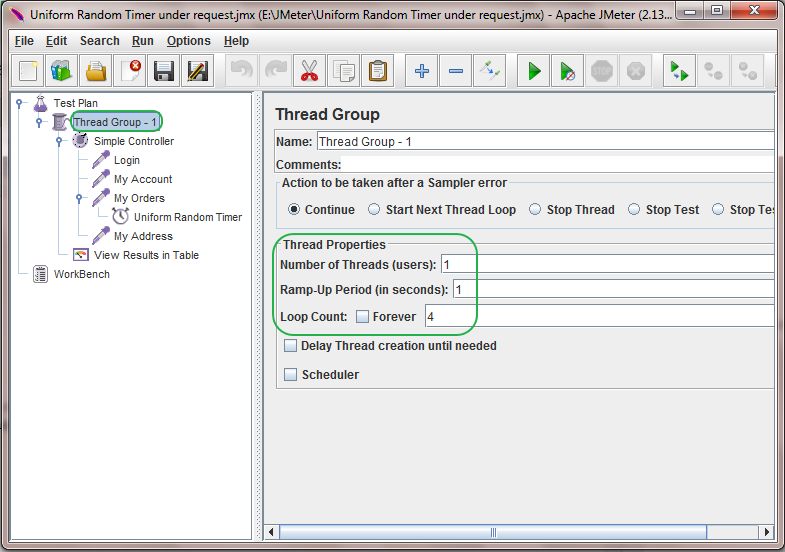 I wants to execute all requests 4 times so i have set Loop Count = 4 in Thread Group as shown in bellow image. 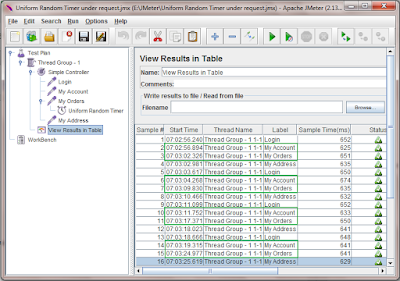 Now run software load test plan and verify result in table. It will looks like bellow. 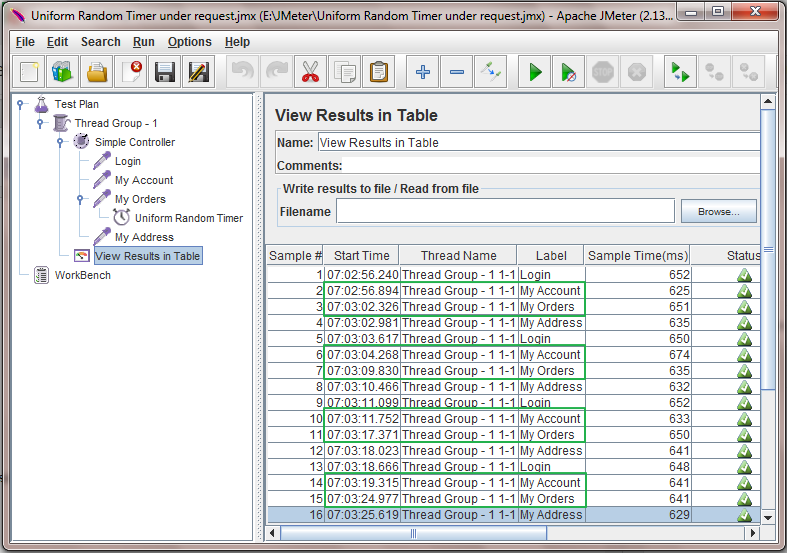 You can see that every time, Start time difference between "My Account" request and "My Orders" is random between 4 to 6 seconds. Example : Start time of first "My Account" request is "07:02:56.894" and start time of 1st "My Orders" request is "07:03:02.326". So here difference is 5.432 seconds. 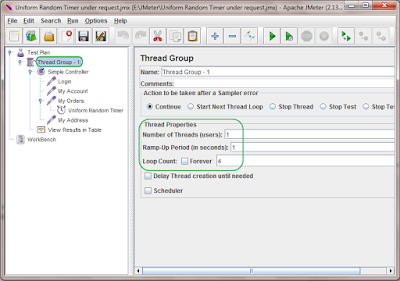 This way you can put uniform random timer under any request of your software load test plan to provide it random delay.